How often do you ask yourself what it costs to keep the doors of your business open? Can the business sustain your lifestyle? Or simply, how is your business performing? 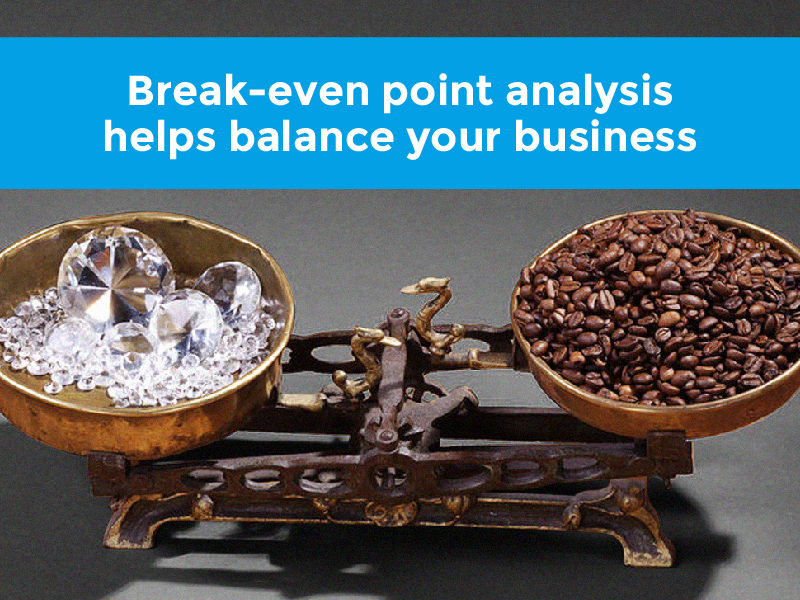 Some simple break-even point analysis of your business can help to unlock the answers to these important questions. Break-even point analysis: what is it? Break-even point refers to the revenue required to cover a company’s total amount of fixed and variable expenses. Given the large sums of money that a business owner needs to manage the enterprise, it’s crucial to understand the minimum level of income your business requires to survive. The break-even point in terms of revenue required can be vastly different between small and larger businesses. Larger businesses usually have greater fixed costs, i.e. they are generally more likely to have direct employees rather than subcontract labour, admin staff, and storage/office expenses. Why is break-even point important? Break-even point is vital to any business for determining income requirements and also puts a focus on what many business owners neglect: costs! Placing a focus on the break-even point can reveal whether your cost estimates for the business are able to be sustained. If you know your job pipeline in terms of revenue and can work out your break-even point, then an overspend can be forecast and planned for. Break-even point analysis is also the basis for numerous financial indicators that banks use to determine your borrowing capacity. Be ahead of the game to ensure you’re on track to meet the targets they expect of you. First you need to be clear on the distinction between fixed and variable costs. Gross profit is: sales LESS your variable costs. How do you factor in the cost of your own time? You’ve worked out your gross profit and are well pleased, as you see that you can easily meet your break-even point! But have you accounted for your own time? Are you paying yourself a salary equal to the position you hold in your business? The key here is to provide a salary that will provide you with enough income to support the lifestyle that you need, while still providing the business with the funds it requires to fuel healthy growth. Your break-even point should then take into account the business profit above and beyond this salary. You’ve seen that your break-even point not only includes business but personal expenditure. You can determine the salary you should be paying yourself by calculating your ‘Minimum Viable Lifestyle’, i.e. the minimum salary you need to support your lifestyle. Once you’ve allowed for this, consistently retaining the remainder of profits in the business and using them to invest in growth will have a compounding effect on your business’s return on investment. If your accounting system is Microsoft Excel, then it’s not an accounting system! To get any real benefit from your break-even analysis, you must be able to rely on the accuracy of the information that you’re using. Systemise the calculation and adopt it as a standard procedure. Your fixed costs and, to an extent, your MVL are two areas that have a huge impact on your business and that you have a direct ability to control. By keeping spending in these areas within set limits, you ensure that there is profit to help the business grow. 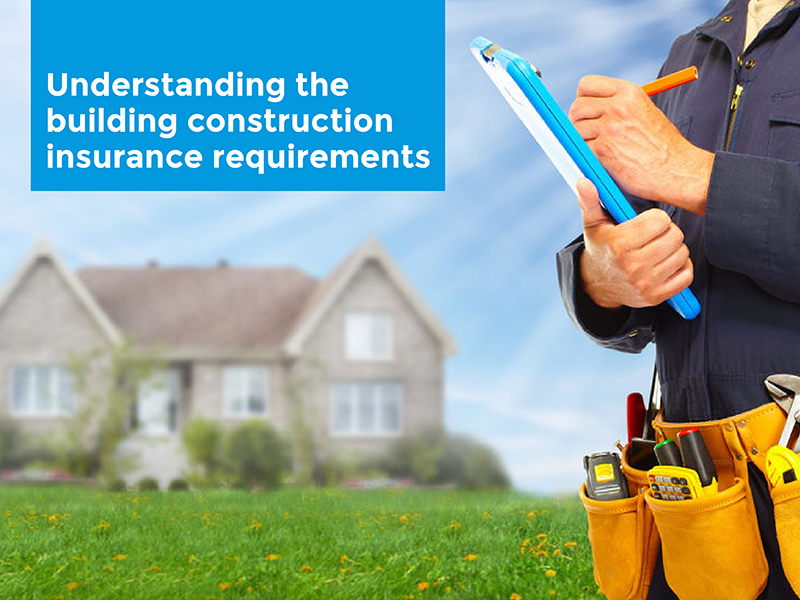 Also, by knowing the minimum margin that will sustain you and your business BEFORE quoting on a job, you can determine the viability of accepting the job or not. Doing a job for anything under this margin only means you’ll be going backwards. It can sometimes take years to realise that a small deficiency in your margin is having a great impact on your business. Generally, you as the owner will continue to draw a salary but meeting tax and supplier payments become harder and harder. Eventually you begin to wonder how you’re supposed to get ahead with all that tax to pay! Calculating your break-even point and MVL is an ongoing exercise that will evolve with the size of your business and the factors that underpin your costs. As your costs change, so does your break-even point. Family factors, nearing retirement, or an increasing or decreasing size of business all play a part. If you need help either understanding break-even point analysis or calculating it for your business, feel free to contact us. 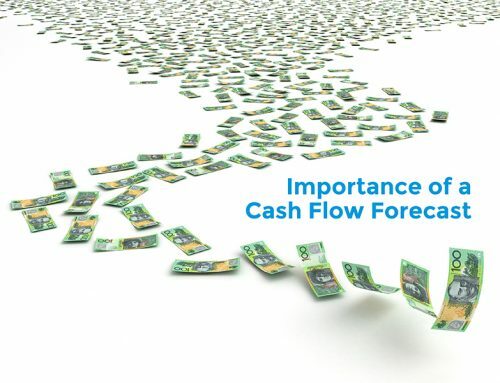 Small business owners: What are the benefits of forecasting cash flow?